Each month, Initiatives Prince George distributes a newsletter called ‘On the Move’ that connects people with news about economic activity in Prince George and the surrounding region, as well as with information about events and services that are of value to local and regional business owners. During 2014, a 'New Business of the Month' will be highlighted in each newsletter. If you have an idea for an upcoming newsletter, please submit it to doll@initiativespg.com for consideration. Watch this video to hear WeldCor Supplies North owner Ryan Yorston explain how his company can meet your welding supply needs. With $23 billion worth of projects underway and another $140 billion proposed, Northern British Columbia is undoubtedly on the cusp of a great economic opportunity. Prince George, as the largest city in Northern BC and the service and supply hub for the region, is poised to benefit significantly from this considerable development. 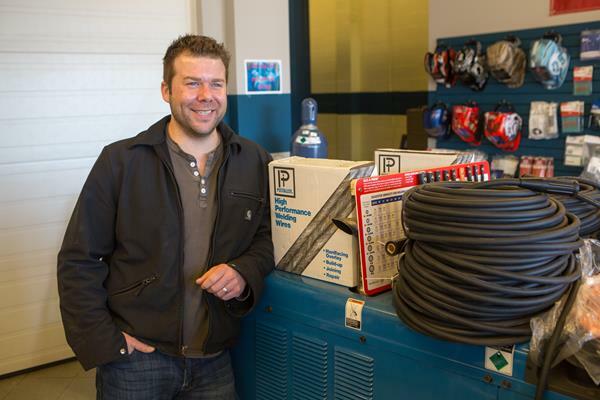 These facts are not lost on Ryan Yorston, owner of locally-based WeldCor Supplies North, an independent wholesale distributor of welding supplies, gases, and equipment sales and rentals that opened in July of 2013. “I was told that by the end of 2014, there [will be] 100 mines proposed just in the north, and even if one-third or one-quarter of them went through, there will be a huge demand in this area. WeldCor is positioned pretty well to meet those needs,” he says. While Ryan’s operation is based in Prince George, WeldCor has other locations throughout Canada and the United States. This mix of local and international scale enables the company to meet the needs of a wide variety of customers. According to Ryan, “We are small enough to deal with you personally and large enough to be competitive.” In addition, the company prides itself in avoiding the ‘middle person’ by dealing directly with manufacturers. WeldCor is a full-service company, offering a variety of welding supplies for both sale and rent. The company has also developed its own product lines, including a type of welding electrode made to be especially user-friendly. Prince George was also a logical place in which to open a business that aims to serve a wealth of local and regional customers. In Prince George, Ryan says, “we already had connections as well as insights into the market […] and Prince George is in the middle of BC so it is a good point to connect to northern communities.” In this way, WeldCor is not alone in seeing Prince George as the industrial, commercial and logistics hub for one of the fastest growing regions in Canada. For more information about WeldCor Supplies North, click here or view the company's listing on the Supply Chain Connector. Initiatives Prince George's monthly 'Economic Update' reports provide a brief summary of economic performance in the City of Prince George. Each report also features an article about a specific issue related to the Prince George economy. In its role as Business Engagement Partner for the 2015 Canada Winter Games, Initiatives Prince George (IPG) is teaming up with Games staff and community partners to host a Business Procurement Workshop on March 25, 2014. The workshop will be the first of several to be held during 2014 and will connect local and regional business owners with the information they need to compete for the opportunity to provide supplies and services to the Games. The main presenter at the workshop will be Stuart Ballantyne, CEO of the 2015 Canada Winter Games. He will provide businesses with information about how to offer supplies and services to the Games, what products and services need to be bought for the Games, when required products and services will be purchased, as well as joint venture, value-in-kind and other opportunities. During the workshop, the overall Business Engagement and Readiness Program for the Games will also be outlined and attendees will be given an opportunity to network and visit the information booths of community partners. The workshop and program will be provided in partnership by IPG, the 2015 Canada Winter Games, the Prince George Chamber of Commerce, the Downtown Business Improvement Association, the Lheidli T’enneh, Northern Development Initiative Trust, Tourism Prince George and Northern BC Tourism. The workshop will be held from 2:00pm to 6:00pm on March 25, 2014 at the Coast Inn of the North at a cost of $40 per person to attend. Local and regional businesses can register to attend the workshop by clicking here. Watch this video to discover how Prince George is strategically positioned to connect your business to domestic and international markets via land, air and water. Approximately 40 people attended a free business services workshop hosted on February 5, 2014 by Initiatives Prince George (IPG) and several community partners. The event provided attendees with information about numerous business services available in Prince George, including marketing assistance, competitive consulting rebates, small business loans and training workshops. If you are interested in attending similar events, make sure to check the IPG website frequently during 2014 for details about upcoming workshops. 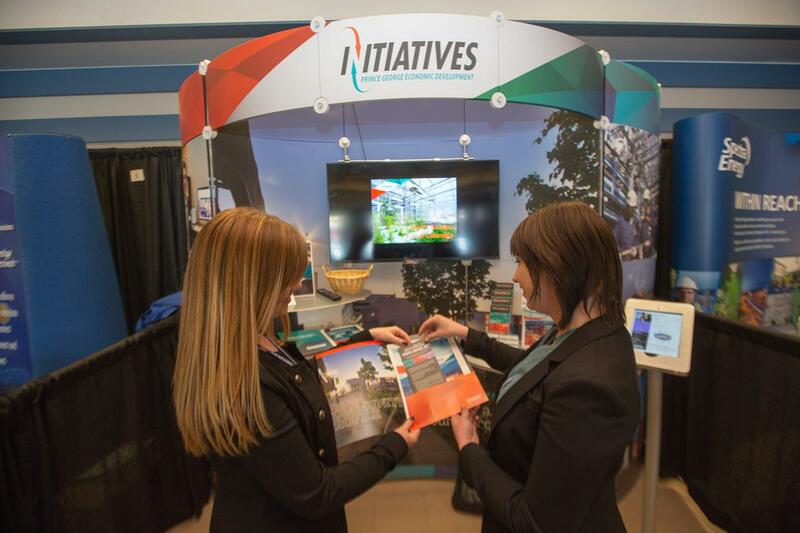 Businesses that are actively hiring in Prince George are invited to attend the National Job Fair & Training Expo at the Metro Toronto Convention Centre with Initiatives Prince George (IPG) from April 2-3, 2014. This is the third consecutive year that IPG has gone to the largest job and career fair in Ontario in search of skilled candidates to help meet the workforce needs of growing companies located in Prince George. IPG representatives spoke with approximately 540 job seekers over two days when they attended the National Job Fair & Training Expo with three local businesses in April 2013. The majority of job seekers were engineers, engineering technicians, IT professionals, project managers, heavy equipment operators, millwrights, heavy duty mechanics, carpenters, nurses, care aides, social workers, accountants and marketers. The businesses that attended reported three people moved to Prince George from Toronto for work as a result of Prince George having a presence at the job fair. The cost to attend the job fair is $2,000 for a booth, in addition to flights and hotel accommodations. This is a more affordable option for businesses that are considering hiring a recruitment firm, which costs an average of 10% to 30% of the first year of salary paid to an employee hired through the firm. Business owners and HR professionals considering attending the National Job Fair & Training Expo are encouraged to contact IPG at 250.564.0282 or email info@initiativespg.com for more information or to arrange joint attendance at the job fair. Discover everything you need to know about living, working and investing in Prince George at the new Initiatives Prince George website. Click here to view the website’s new streamlined look and enhanced user friendliness. The University of Northern British Columbia (UNBC) and Canfor have teamed up to give students the opportunity to learn directly from working foresters in Northern British Columbia. The fourth year course is called Forest Operations and Management and is designed to provide students with an understanding of operational practices in harvest planning and implementation. The course includes field trips to working forestry locations and to Canfor sawmills in Northern BC. Six students have signed up for this unique course in 2014. UNBC and Canfor plan to offer similar courses in the coming years. To view a video about the course, click here. Prince George is the host city for the 2014 International Bioenergy Conference and Exhibition, which will take place June 11-13. The theme for the 6th annual conference is Pathways to Bio-Prosperity, helping to foster discussion on how to move forward in the emerging bio-economy. The event connects bioenergy and bioproducts producers with fibre owners, suppliers and purchasers, as well as key players in the utility, transportation and logistics sectors. Click here to view the latest program information and then click here to register as an exhibitor or an attendee. 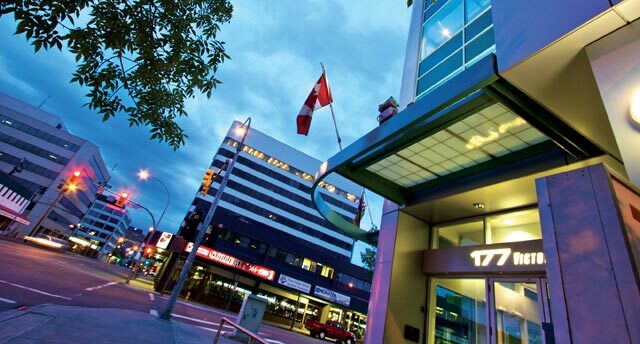 The Prince George Chamber of Commerce is holding its 2014 Annual General Business Meeting on March 5, 2014 from 5:00pm to 7:00pm at the Ramada Hotel. Members in good standing are invited to attend to vote for the Chamber’s new Board of Directors. For more information, click here. The Chamber is also gearing up for its major annual fundraiser. The President’s Royal Masquerade Gala will be held on Saturday, March 29, 2014 at the Coast Inn of the North. Attendees are asked to dress for a 17th century English masquerade by donning a ball gown or a tuxedo and concealing their identity with a mask until the end of the night. Tickets are $85 each, with all proceeds being used to fund Chamber activities. Click here to buy tickets before they are gone! You're receiving this email because you subscribed to it. Click the Unsubcribe link below to unsubscribe.